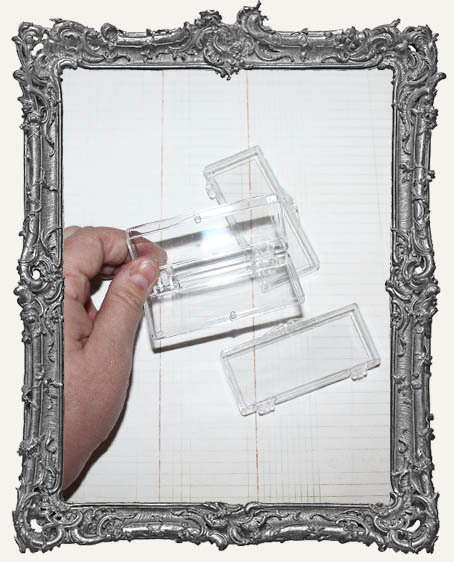 * You will 3 clear plastic cases with a hinged lid. * These are very useful for storing small trinkets and art supplies. * Great for jewelry findings, stamps, beads, buttons, etc. * Set of 3. Each measures approximately 1-1/8" wide x 2-3/4" long. They are just under 1/2" deep when closed. * Or use them in your art!